Take a look into the inner workings of your mind. Have you ever wondered how your brain comes up with thoughts, records emotions, and discards or makes memories? Do you know how you learn to breathe, crawl, walk and run? How do you learn languages? Making maps of the brain is an interest of artists, scientists, and doctors for centuries. In the middle Ages, the brain was considered to have three parts or ‘cells’ that later became known as ventricles. Imagination was located in the anterior, memory in the forward cell and reason between the two. Leonardo Da Vinci explored the anatomy of the brain making several detailed drawings. In 1669 Nicolaus Steno said, “The brain, the masterpiece of creation, is almost unknown to us.” In 1681, Thomas Willis named the study of the brain ‘neurology’. 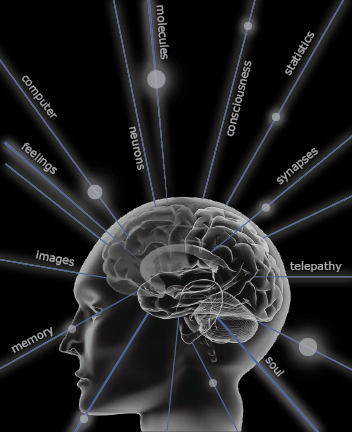 We are just beginning to better understand how intellect and emotion work in the human brain. For a brief period, the size and shape of a person’s skull describe personality traits; this was called Phrenology. Scientists now know that the brain has right and left brain hemispheres. The left side of the brain is considered to carry the analytical and logical functions; the right side is considered to carry the emotional and social. In 1895 with the invention of the X-ray images were made of the brain. 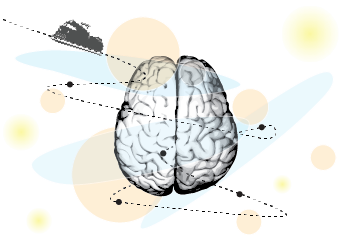 Several parts of the brain began to emerge as centers of activity. In 1897 the term synaptic or neurological connection was coined. Scientists are learning more and more about the diverse areas of the brain, their activities, and their interconnections. Take a look at the Brain Atlas of Images or delve deeper into what scientists now know about brains in Your Brain Map. 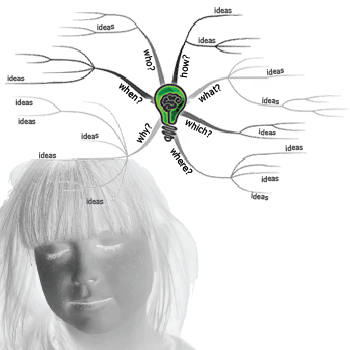 Explore ways of mapping your brain and making mind maps! 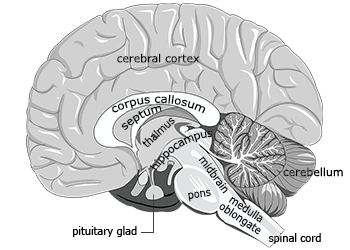 Now it is your turn to draw and ‘map’ the physiology or physical structure of your brain. Watch this TED talk on mapping the brain. Take a look at MRIs of the brain. 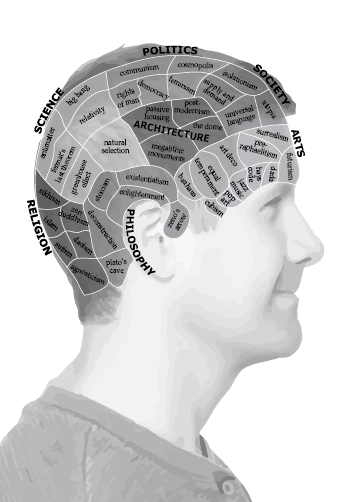 Explore areas of labeled diagrams of a brain and make your own map. Label the parts and describe roles the different areas play in our mental imaging, processing, thinking, acting, speaking and remembering. Think of synaptic connections as trains with an engine pulling several cars and ending with a caboose. What concept or word drives (or pulls) ideas, strategies, objectives and tasks? Can you align ideas linearly? Can you take the same concept and create a radial diagram? Can you create a train with engines both at the front and the back that can pull your ideas in either direction? Create an idea train and have fun rearranging the cars and engines on the track. You can also create switches in the track that will take your idea in one direction or another! Zing. Whiz. Bang! How does your brain work? Our brains are the containers of our thoughts, emotions, dreams and memories. Watch TedEd’s What if we could look inside human brains?. Watch What percentage of your brain do you use. 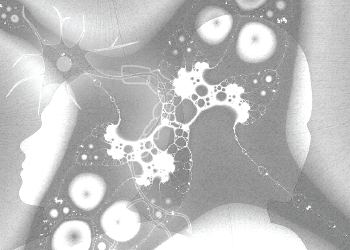 Make a drawing of synaptic connections. Mind Mapping, similar to word webs, is a method for visualizing information and making connections. It is a good activity to come up with ideas, generate options, structure thinking, investigate and classify possibilities. It is an easy method to generate and organize information. Mind Mapping can be done at the beginning and throughout a design process. At the beginning it starts simply with brainstorming by yourself or with a group of people. The more ideas mapped the better! Mind mapping helps to open your mind to new ideas. When done with a group it is a team building exercise. Mind mapping can be done by sorting pictures, using colored paper, or sketching by hand. Brainstorming maps can connect words, images and visuals (arrows, lines, bubbles, diagrams, etc.). Once the brainstorming mind map is made and studied, discussion and reflection can help visualize possibilities. Phrenology was an early study of the shape and formation of head, specifically the skull, as it applied to a person’s character and mental capacity. It literally studied bumps on a person’s head and related it to aspects of personality. Developed in the late 1700s by German Physician, Franz Joseph Gall, the shape of people’s skulls were thought to house a brain in the same shape. Inside it was thought the shape and size located 27 personality characteristics including affection, love of one’s children, cleverness, sense of property, sense of place, recollection of people, language ability, color ability, musical talent, mathematics ability, kindness, wit, and even murderous instincts! It was not until 1843 that it was discovered that the contours of the skull did not, in fact, dictate the shape of the brain! While phrenology’s popularity waned, neuro science of the brain did begin to associate different mental abilities with different regions of the brain. Today’s MRI (magnetic resonance imaging) and PET scans reveal functional areas of the brain at work. Find a phrenological map of the head and make a pseudo scientific (not based on real science) drawing. Fill in the areas with your own personality characteristics! The brain contains how many neurons? The right and left sides of your brain work together. TEDed What Happens When You Remove the Hippocampus? Video Brain Wiring : A No Brainer!